I am not as courageous and self confident as you( all) are but i have the same feelings and suffers how Tibetans are suffering in and outside Tibet. I'm proud that there are people like you, the nuns and the monks. 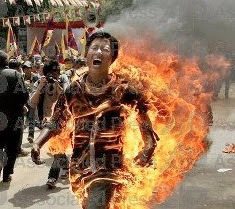 Who sacrifice there life for Tibet and us. I bow down my head and pay my respect. May your soul rest in peace and Tibet be Free again.